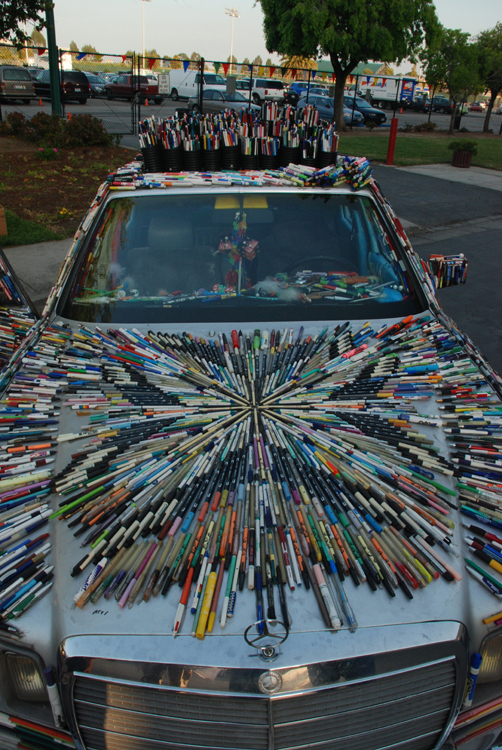 Another art car covered in pens, markers, and highlighters. Not the most aerodynamic of vehicles. Like the Lego Jeep, you could probably track where it goes by following the breadcrumb trail of pieces that have fallen off.